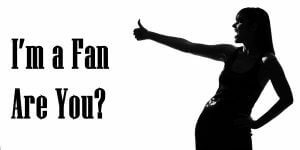 Im a Fan of K.A.T SALON & SPA... Are you? Fill in the below form and you can recommend ‘K.A.T SALON & SPA’ to a friend or family member via a text message. Show your support with a quick share of ‘K.A.T SALON & SPA’. Fantastic! Love, love going there. The head massages during the shampoo are fabulous! Welcoming environment, clean and well setup. Good offering of services knowledgeable staff and all very friendly. Good pricing and finished product always fantastic. I get my nails and hair done at KAT Salon and spa and they always make me beautiful! Great atmosphere! Great stylists! I always leave happy. KAT Salon & Spa is by far the best salon in town. The girls are all very knowledgeable, very friendly, wouldn’t dream of going anywhere else ! Always friendly staff. Never miss a reminder. Great with my 2 1/2 year old and I don’t even have to say what i want when i sit down my hair dresser knows. Able to do all the latest trends. Since they opened they have been great! When you walk in they are always warm and welcoming, feels like a family run business not a big intimidating salon. I had to bring my daughter once and they were more than happy to help out when I needed a hand while getting my hair done. Their pricing is great, their skill set is amazing, and they always know what’s trending. They know what will look best and work best for each individual, very educated and skilled! Love love love KAT salon! I am a fan of KAT Salon & Spa because of Tammy. No matter the challenge presented to her, she accepts it and absolutely knocks it out of the park. Her skills are amazing and I would never give up my recurring appointment. 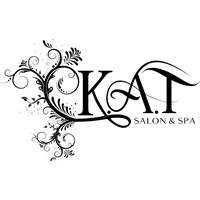 If you are looking for a great staff and a fantastic time visit KAT Salon & Spa! Amazing stylists with amazing product. Excellent service and staff! Love the intimate atmosphere and great prices! Friendly staff makes it easy to come in even with my kids. K.A.T Salon and Spa has fantastic customer service with very friendly, professional staff who go above and beyond for the clients they serve. Staff are very knowledgable and up to date on current styles and trends! Hands down the best stylists! Amazing staff and very welcoming salon! I love this salon! Always so welcoming and friendly. New products that aren\’t sold anywhere else in town and all the staff are so knowledgeable. Thanks to this salon I have completely revamped my hair and skin care routines and I couldn\’t be happier. Thanks to the staff I not only own these great products but actually know how to use them. Couldn\’t say enough great things about this place and everyone that works there! Their service is second to none. The girls and the atmosphere in the salon is so friendly. It’s like going out for coffe wither girls . They make you feel so welcome. I have never left the salon feeling unsatisfied ! Kristin did my hair and my flower girls hair for my wedding. She was amazing and took such good care of us and felt like part of the family. We love her and have and will continue to refer friends to her and her staff! Where do I start!! The girls are awesome! Great! Exceptional! Friendly! The customer service is beyond excellent!! They make you feel at home!! I recommend them to everyone I know. Lol even some I don’t. Great staff, amazing service and a fun environment. Really enjoy being able to visit the girls and share so many laughs!! Prices are affordable and staff is always willing to accommodate to their clients needs. I encourage everyone to visit this salon!!! K.A.T. salon is fantastic. The girls working there and running it are awesome! 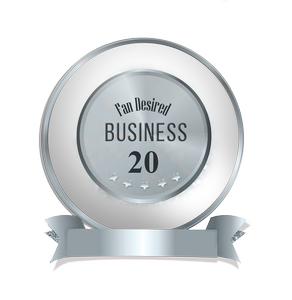 They are very educated, they keep up with the latest trends, and they truly care about all of their clients! I recommend them to everyone! I’ve been a client of the owners for about 6+ years, and highly recommend them! The ladies are friendly, helpful, and it’s a blast going in there! They are also amazing at their work, and I highly recommend going to them for hair, makeup, and nails! K.A.T Salon & Spa is by far the best Salon I have ever been too. It is a very professional environment and the girls there do not hesitate at all to make you feel at home. I would never goto any other salons. I have personally went to Kristin to get my hair done for 7 years. She is a very caring person and always makes sure you are satisfied with your experience. I have never left K.A.T Salon & Spa unsatisfied ! KAT Salon & Spa has such a welcoming environment. All of the girls are very pleasant and are up to date with all the current trends and are VERY knowledgeable with their products. I wouldn’t go anywhere else!